How can you manage food temptations during the day? How to control the hunger pangs before the bedtime? How can your meal get you super charged Focus T25 workout? The food guide is the best way to help you resolve them. 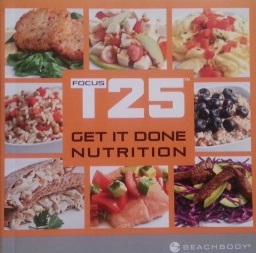 Known as “Get It Done Nutrition Guide”, this handy little book can be yours when you Buy Focus T25 program. At the start of the guide, the 4-step calorie quiz will help you find out how much calories you are needed per single meal when you are doing your Focus T25. Here you will learn all the tricks to manage your meals accordingly, while advancing the nourishment for better health and fitness. 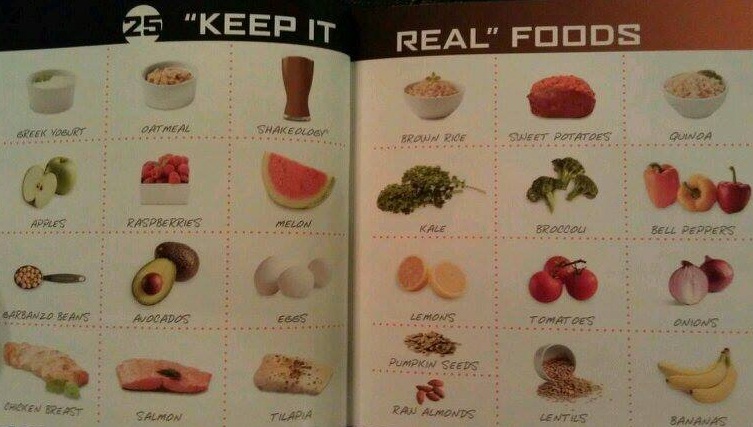 Next, you see a great combination of 25 keep it real foods! With the help of these 25 health-boosting foods, you can actually start keeping your health on track while you manage the Focus T25 workout at home and start losing weight as well. After the list of must-have 25 foods in your home, Shaun T provides 25 different recipes that can help you take on fitness to the next level. By using only 5 ingredients each, you can easily make the 25 different meals in just 5 minutes of preparation time for each recipe. The Focus T25 recipes will tend to your breakfast, lunch, and dinner menu. You will get to know great ways of making healthy snacks to control the cravings in a healthy way. Plus, with the Focus T25 nutrition guide you will get to know about several “make ahead recipes” that will let you eat healthy home-cooked even on the most hectic days. Some of the easy to make dishes in the get it done nutrition guide includes, vinaigrette for salads and such, brown rice, cooked quinoa, and a couple more. The whole purpose of the program is to keep it short, keep it healthy, and keep it easy so that you get 100% results – all in 25 minutes a day. Get it done with Focus T25 now!